A healthy mom is a happy mom. A happy mom makes a happy home. Moms are busy being. We are always taking care of other people and never have time for ourselves. 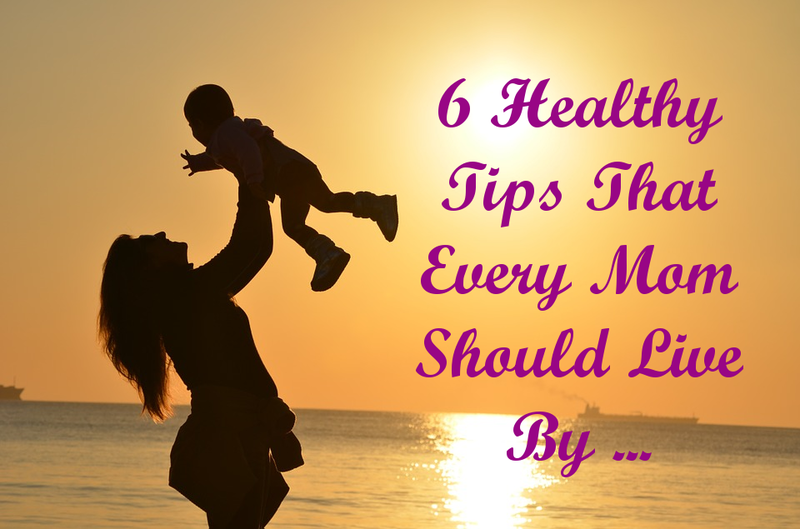 It is however important to maintain these 6 healthy habits to ensure that we are always at our best shape. Water is the healthiest drink you can take. It not only increases the metabolic rate making it easier for the body to burn calories, but also reduces appetite and flushes out toxins from the body making the skin glow. Regulating the body temperature and helping in digestion are its other benefits. Always keep a bottle of cold water in your car or on the office desk. It will do you wonders. For the body to remain energized and strong, there is need to exercise regularly. It need not be vigorous exercise. Walking for 45 minutes, that morning jog, skipping rope, 50 press ups a day, cycling or even yoga will work just fine. Just make sure that you get to sweat. Follow this religiously and you’ll reap the health and fitness benefits. Fiber helps the body’s digestive system greatly while making one stay full for longer. Whole grains, fruits and vegetables have high fiber contents. The fruits and vegetables also supply the body with vitamins required to protect the body against diseases. It is advisable to always have a healthy snack with you like an apple, a carrot, banana, pear or oranges. Instead of eating three big meals, take five small dishes meals. This helps the body by giving time to digest. It also helps clean the colon reducing the chances of getting colon cancer. Make sure to eat healthy snacks in between to ensure that you don’t eat a lot of food at meal time. Enough rest is crucial for the body to rejuvenate especially after sessions of exercising. Make sure to have at least 8 hours of sleep a day. It also restores the body and gives one the energy required to keep taking care of everyone else. Processed food has much empty calories that will not do any good to your body. As much as our body needs curbs for energy, learn to substitute bad curbs with the good. Cook rather than eating out, take brown rice rather than the white, choose whole grain over processed flour, brown bread over white and so on. Have a healthy day, dear mom. Why is it that what is good is so often allowed to slip. I get too "busy" to do what I should even though I know that I could be more effective if I do what helps my body. Thanks for the reminder. I think it is human nature to do what is not right. 😉 I also spend too much time, money and energy doing things that are harmful to my body.